Enjoy your winter holidays in the Explorer Hotels located in TOP skiing regions in Germany and Austria. With the Ski Deal you receive a 10% discount. 3 nights inclusive breakfast, Sport Spa and WiFi from € 107,- pps. - only valid with the booking of a skiing pass. Enjoy your holidays! 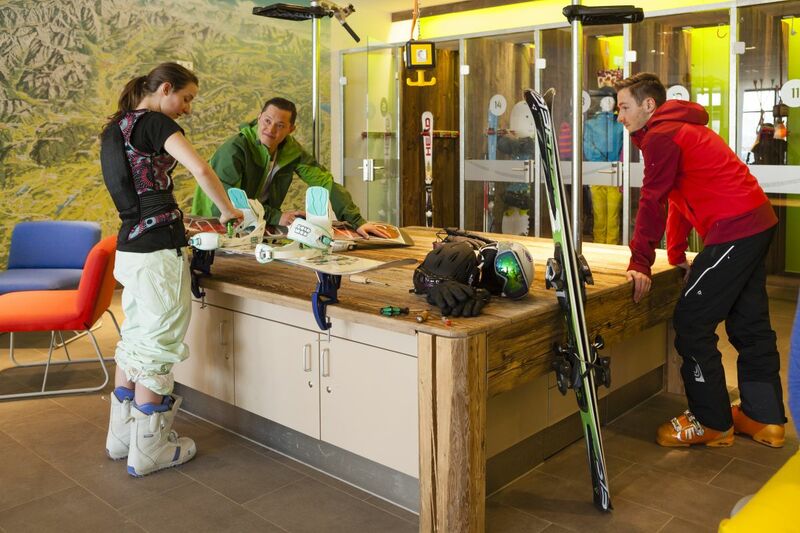 You can use the heated sport lockers to keep your skis and snowboard safe and dry. Only € 5,- per day. Discover the skiareas in the German and Austrian alps! Extensive and energising breakfast, ski boots and off you go to the ski lift – can you think of a better way to start your vacation? The ski area Oberstdorf/Kleinwalsertal near the Explorer Hotel Oberstdorf is Germany's largest skiing area with 124 km of downhill alpine trails. The Jennerbahn's valley station is located only a few minutes from the Explorer Hotel Berchtesgaden. There are also 5 gondolas in the immediate vicinity, the Leogang ski circus is only 50 km away. 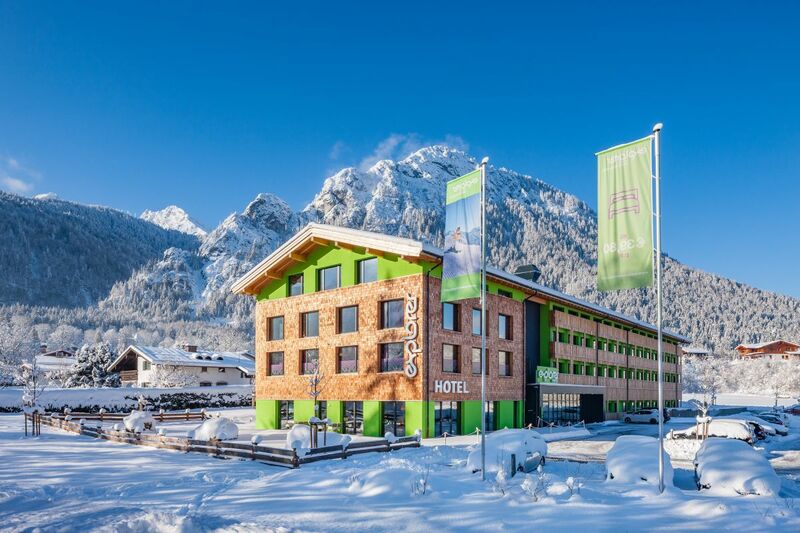 Ski-in / Ski-out: from your bed right on to the piste - the Explorer Hotel Neuschwanstein is located right next to the Alpspitzbahn in Nesselwang. Silvretta Montafon is the most active ski resort in Vorarlberg. It features 152 km of downhill alpine pistes. Moreover, you can find diverse free-ride areas nearby the Explorer Hotel Montafon. St. Johann in Tirol is the perfect starting point for skiing and snowboarding in the Kitzbühel Alps. From the Explorer Hotel Kitzbühel you have access to the ski areas St. Johann in Tirol / Oberndorf as well as the ski areas in the Kitzbüheler Alpen nearby. As the world’s largest skiing valley, the environment of the Explorer Hotel Zillertal is perfect for your skiing holidays in the alps. You can chosse between sporty downhill runs, well-prepared slopes and wide carving slopes for families and beginners. The Explorer Hotel Hinterstoder is perfectly situated at the valley station of a ski area. So just put on your skiing equipment and go outside! The Explorer Hotel Ötztal is located in the center of the Ötztal, one of the main skiing regions in Austria. From there you have access to three big ski areas near the famous skiing resort Soelden. The perfect destinations for your winter holidays! 3 nights from € 107,- pps. Book now, choose your ski pass and save 10 % - we look forward to seeing you ;-). Breakfast buffet, ski centre, Sport Spa etc. Check out our new Explorer destination -> Ötztal! Here, you book at the best rate – we promise! If you are not 100 % satisfied, we will try to find another hotel for you. No advance payment required; no credit card guarantee necessary. Your data is safe with us. It will be transmitted in encrypted form.